Superior Donuts is a comedy about the owner of a small donut shop that's located in a quickly gentrifying Chicago neighborhood. Arthur is a gruff, to-the-point Chicagoan who refuses to sell newfangled cronuts and macchiatos or renovate his dated shop that hasn't changed since it opened in 1969. That all changes when enterprising go-getter Franco fast-talks his way into Arthur's life as his new (and only) employee, and convinces him that he can bring the shop – and Arthur – into the 21st century. Arthur's supportive regulars include loyal patron Randy, a cop whose late father was Arthur's best friend; her overeager rookie partner, James; Tush, a colorful customer who uses the shop counter as a makeshift office, where he keeps tabs on a variety of odd jobs via fax machine; Maya, a privileged grad-school student working on her Ph. D; and Sweatpants, Franco's longtime friend who's willing to dress as a donut to help drum up more business. Looking to cash in on the urban renewal is Arthur's over-caffeinated neighbor, aspiring real estate capitalist Fawz, who pushes Arthur on a daily basis to sell the building to him. With his business in jeopardy, Arthur grudgingly realizes that he had better embrace the change around him and that Franco could be exactly what he – and the donut shop – need to thrive. Judd Hirsch (Arthur) is best known to television audiences for his Emmy-winning role as Alex Rieger in Taxi. He won a Golden Globe for his role as John Lacey in Dear John. In 1997-1998, he co-starred with Bob Newhart in George & Leo. He played Alan Eppes for six seasons in the CBS drama Numbers. Jermaine Fowler (Franco) is a stand-up comedian who co-created and starred in the truTV sketch-comedy series Friends of the People. His voice credits include BoJack Horesman and Robot Chicken. He will recur in the HBO comedy Crashing. Katey Sagal (Randy) is best known for her role as the outrageous Peg Bundy in the groundbreaking, long-running series Married with Children, for which she earned three Golden Globe and two American Comedy Award nominations. 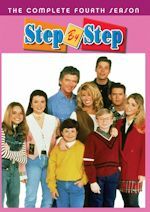 She co-starred with the later John Ritter in 8 Simple Rules. She played Gemma Teller Morrow in the FX drama Sons of Anarchy. David Koechner (Carl "Tush") is best known for his roles as Todd Packer in The Office and as Champ Kind in the Anchorman films. His other current roles include Another Period as Commodore Bellacourt and The Goldbergs as Bill Lewis. Maz Jobrani (Fawz) starred as Gourishankar 'Gary' Subramaniam in The Knights of Prosperity and as Dr. Bhama in Better Off Ted. Some of his other credits include Life on a Stick, Rita Rocks, We Are Men and The Detour. Anna Baryshnikov (Maya) has guest starred in The Mysteries of Laura, Doll & Em, Blue Bloods and Good Girls Revolt. Her breakout role was as Sandy in the 2016 film Manchester by the Sea. 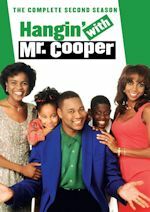 Darien Sills-Evans (James) played Darien Hall in the sitcom Cosby. He has had recurring roles in Third Watch, Person of Interest and Treme. He has guest starred in Blue Bloods, Law & Order and Law & Order: SVU. Rell Battle (Sweatpants) is a stand-up comedian who is the creator and an executive producer of Roast Battle, an energetic live show that was subsequently adapted as a television series for Comedy Central. He has guest starred in Outlands and Key and Peele. The first three episodes were available for review. Emmy Award winner Judd Hirsch and comedian Jermaine Fowler star in a new comedy about the relationship between Arthur, the gruff owner of a small donut shop, his enterprising new young employee, Franco, and their loyal patrons in a quickly gentrifying Chicago neighborhood. Franco encourages Arthur to increase his security when Fawz’s dry-cleaning store is robbed, but becomes concerned when Arthur buys a gun. Also, Tush offers Maya his personal approach to protecting herself. Superior Donuts is a multi-camera sitcom produced by CBS Television Studios and 3 Arts Entertainment. Bob Daily, Neil Goldman, Garrett Donovan, Mark Teitelbaum, John Montgomery, Michael Rotenberg, Josh Lieberman and Jermaine Fowler serve as executive producers. The series is based on the play by Pulitzer Prize and Tony Award winning writer Tracy Lett. In the "Pilot" episode, Arthur greets Randy and asks her about her new partner, James. James asks if he has any cronuts, but Randy tells him he sells only donuts. Grad-school student Maya then talks to Arthur. Franco walks in and tells him he's interested in a job. Franco gives him some ideas for improving the business. Fawz offers to buy Arthur's store, but Arthur wants nothing to do with it. Franco wants to bring the business into the 20th century. When Arthur corrects him to the 21st century, Franco tells him "no, I don't." Carl asks Arthur if he is being robbed by Franco. A Starbucks open up across the street, so Franco has an idea of having his friend Sweatpants dress in a donut costume and pass out flyers. Some customers walk in after reading Yelp reviews and ask for soy-based donuts and fancy drinks. After Franco's ideas don't work, Arthur considers selling to Fawz. Somebody does some graffiti on the Starbucks sign. Randy brings in a brown backpack, which belongs to Franco. They try to take Franco in for questioning before somebody covers the damages for him. Overall, these episodes were very funny and enjoyable. The legendary James Burrows directs the first three episodes. The "Pilot" episode is fast-paced with the jokes flying fast and furious. Many of the jokes are race related, but they are light-hearted. There are also many older vs. younger generation type jokes, so the show should appeal to many demographics. We are introduced to the regular shop patrons. The second and third episodes feature the regulars interacting more. All of the scenes in the first two episodes are at the main shop set, with a couple scenes in the kitchen or outside the store. It's set up like a stage play. The show is set in Chicago. Carl ("Tush") is shown wearing some Cubs t-shirts and Franco is shown wearing the glorious Blackhawks red jersey, the best jersey in all of professional sports, in an upcoming episode. It would be nice to see them at real Chicago locations in future episodes. Sitcom veterans and television newcomers form a talented cast. 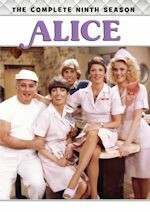 Judd Hirsch has starred in several sitcoms earlier in his career, but this is his first regular sitcom role since George & Leo in 1998. Jermaine Fowler is a fresh face who will probably be new to most viewers. He should have a promising future with his comedy skills. The regular shop patrons include Katey Sagal, David Koechner, Maz Jobrani and Darien Sills-Evans. 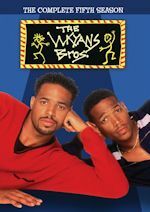 They bring plenty of comedic experience. Newcomers Anna Baryshnikov and Rell Battle fit in well with the cast. The cast just seems to have some good chemistry and working together early on in the first three episodes. Superior Donuts is a promising new sitcom with a strong cast and plenty of fresh and funny jokes. The pairing of a comedy legend like Judd Hirsch with a rising young star in Jermaine Fowler is a good one. It's been some years since Judd Hirsch has appeared in a starring role in a sitcom, so it will be nice to see him on a weekly basis. Jermaine Fowler is new to me. He reminds me a little of a young Kevin Hart. He brings a lot of charisma to the character. Fowler is also an executive producer of the series, so he has a lot on his plate. Katey Sagal also makes a welcome return to a sitcom role. The rest of the supporting cast is filled with solid comedy veterans in David Koechner, Maz Jobrani and Darien Sills-Evans with the younger cast members in Anna Baryshnikov and Rell Battle. The series reminds me of 2 Broke Girls with the food theme, Mike & Molly because of the police officers and Cheers because of the regular shop patrons. Chicago is my kind of town, and this is the kind of throwback multi-camera sitcom which I enjoy. 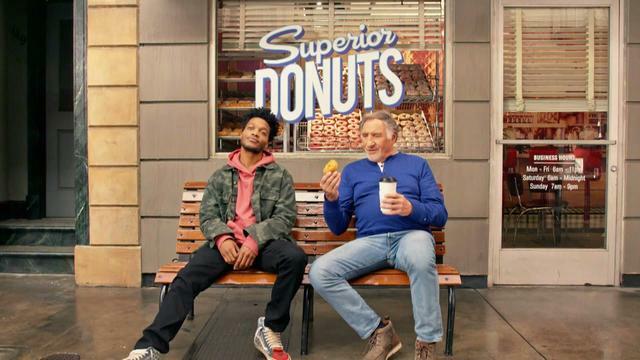 CBS has ordered a baker's dozen amount of episodes of Superior Donuts. It will premiere with a special taste preview after a new episode of The Big Bang Theory. They should receive a nice sampling of viewers. It will then move to its regular time slot on Mondays where it will be sandwiched between Man with a Plan and 2 Broke Girls. Superior Donuts has some good potential. It's one of their stronger efforts this season. It may take a little time for things to completely gel, but there are some good old-fashioned laughs here. Go nuts for Superior Donuts on Thursday night before it moves to its regular time slot on Mondays at 9:00PM ET/PT. Discuss the show after you watch it on Thursday, February 2 at 8:30PM ET/PT on our message board. Frozen yogurts for everyone! NBC's The Good Place, the critically beloved otherworldly comedy from executive producer and creator Michael Schur, has been renewed for a full-season order of 13 episodes. The show's Jan. 19 first season finale delivered 5.2 million viewers after three days of time-shifted and video-on-demand viewing, for the show's biggest L+3 audience since Oct. 27. The series follows Eleanor Shellstrop (Kristen Bell, House of Lies, Veronica Mars), an ordinary woman who, through an extraordinary string of events, enters the afterlife where she comes to realize that she hasn't been a very good person. With the help of her wise newfound afterlife mentor (Ted Danson, CSI, Cheers), she's determined to shed her old way of living and discover the awesome (or at least the pretty good) person within. The comedy stars Ted Danson, Kristen Bell, William Jackson Harper, Jameela Jamil, Manny Jacinto and D'Arcy Carden.